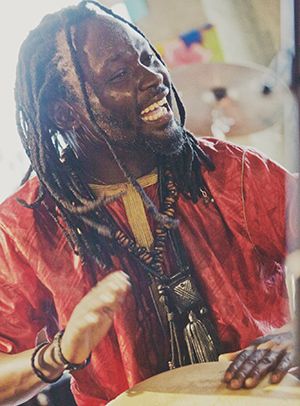 Born in Senegal, Omar is an all-round musician who has mastered percussion instruments such as the djembe, sabar and talking drum (tama), and is also renowned for his singing and dancing skills. 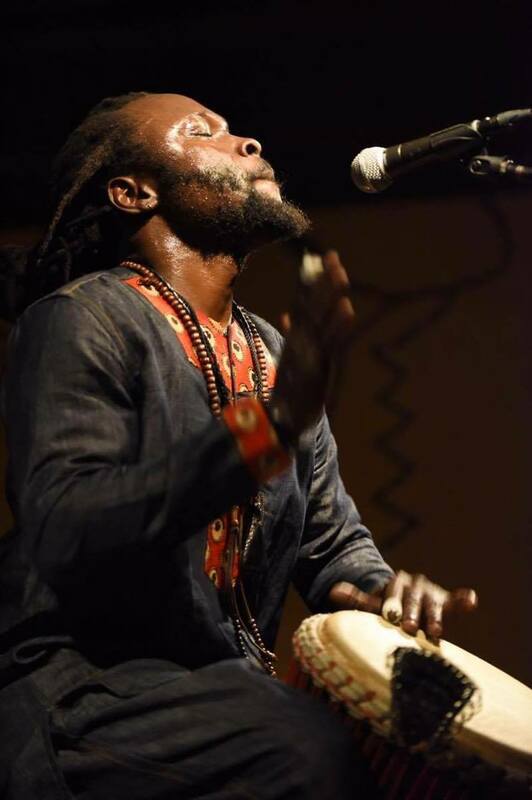 Born to a family of musicians (Griot) in the capital Dakar, he was raised in the Chine area where his natural talent for playing percussion instruments soon led him to play at religious ceremonies and celebrations. 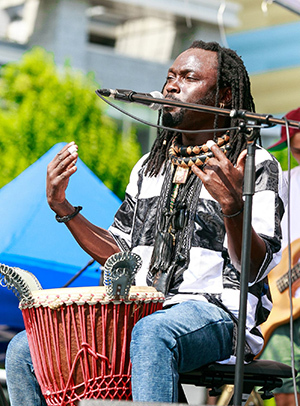 He has toured around the world with the Senegal National Dance Company as a djembe soloist and recorded with several international artists. He performed at the opening ceremony of the African Cup of Nations 2004 with his own group. Since 2005, he started his career in Japan. In addition to Afro Begue, he splits his time between performing with various artists in Japan and Senegal . 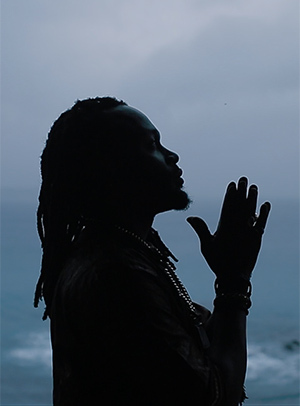 In 2016, he launched the charity project for Senegalese children, gained official approval from both Senegal and Japan Embassies, and the band had stages in Senegal for the first time. He sang the national anthem at the all games of opening ceremony of the Wemen's National Basket Game 2016 in Japan, which is the send-off game for Rio Olympics. “Gainde” means "Lion” in Wolof, a language spoken in Senegal. 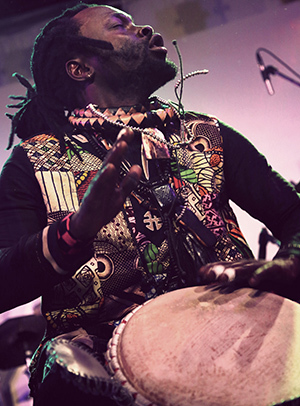 He is called as "the lion of Senegal" from his performance style. 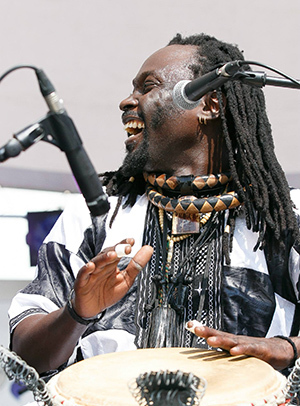 TOKYO JAZZ FESTIVAL "the STREET"
Afro Begue is an afro beat band led by Senegalese djembe master, Omar Gaindefall. and the performance was greatly praised by him. They also performed at Japan's biggest Jazz festival "Tokyo JAZZ Festival,"
on "FUJI ROCK FESTIVAL", and attracted the huge crowd with their Afro Begue style music from Western Africa. 3rd album "Balkô"in June. Dance music from the whole African continent is getting attention around the world once again, and also increasing more listeners here in Japan. 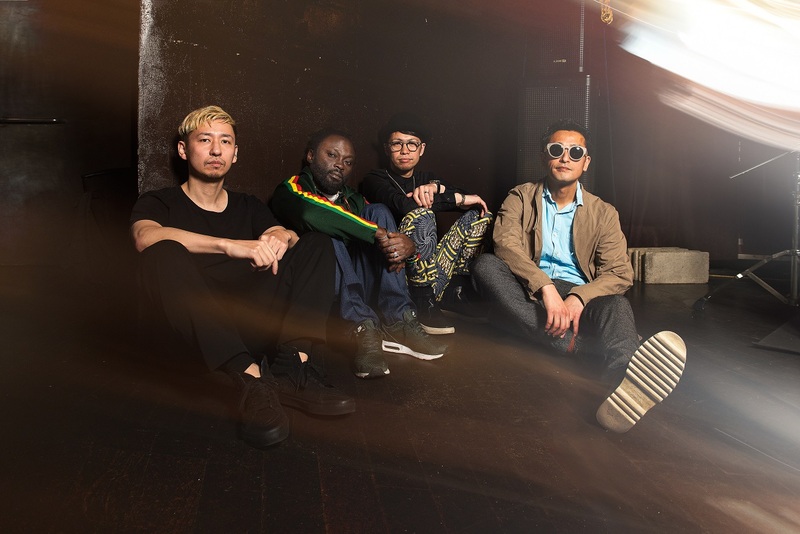 Afro Begue is sure to be representative afro beat band of Japan. Please feel free to email us for more detail, live/event information and workshop.